Amazon is continuing to offer some of Apple’s latest hardware releases at discounted rates, which is almost unheard of. Or at least, it was before Apple hardware made its way back onto Amazon’s store a few weeks ago. Now, the 2018 MacBook Air is the one being discounted after a couple of weeks of iPad Pro deals. Right now you can get a 128GB MacBook Air in any color you wish for just $1,049. That $1,049 price is a considerable discount over the normal asking price for such a machine. If you walked into an Apple Store you would have to hand over $1,200 to get the same machine, which is a $150 saving that we still can’t quite wrap our heads around. 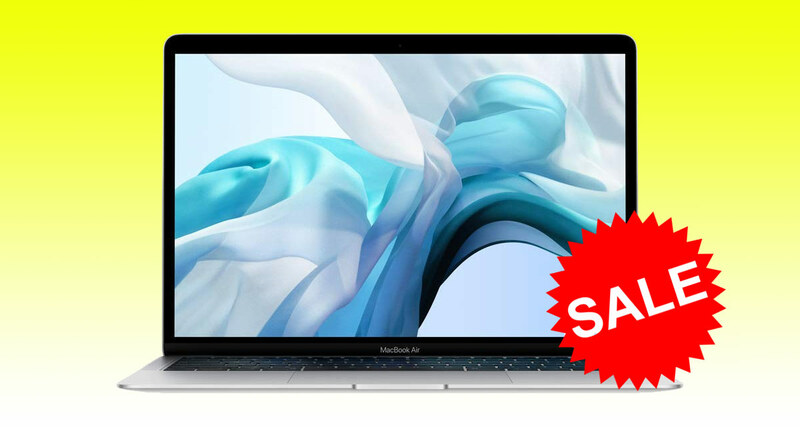 If a new MacBook Air is something you’ve had your eye on, this deal should tip you over the edge and it makes the older, non-Retina MacBook Air look an even worse buy than it already was. With this newly updated model you get a 13-inch Retina Display aswell as Touch ID and Apple’s now infamous butterfly keyboard. There’s a super fast SSD in there though, as well as 8GB of memory. Two Thunderbolt 3/USB-C ports take care of connectivity, and the battery in this thing should be good for around 12 hours before anything needs plugging into those ports to juice it up. We don’t know how long this deal is going to run for, so make sure you strike while the iron is hot if this is a deal for you.